Architecturally designed & renovated 4656 SF, 3 level, 4 bdrm, 4 bthrm & 1 bdrm suite with an exceptional floor plan. 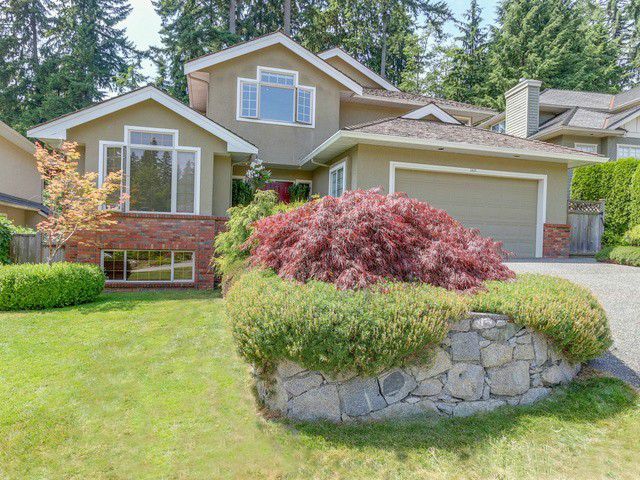 It is the perfect family home, on a fantastic street of executive homes in "NORTHLANDS". Professionally landscaped west facing, fenced backyard, in ground sprinklers, lush gardens, private wood deck, waterfall, gazebo & children's playhouse, entertainment area off kitchen & family room. Main floor foyer, living rm, dining rm, kitchen (with granite counter tops) family rm & office have high ceilings, beautiful hardwood floors, featured millwork, crown mldgs, baseboards, wainscoting & designer paint. Large master suite with 5 piece ensuite overlooking gardens.